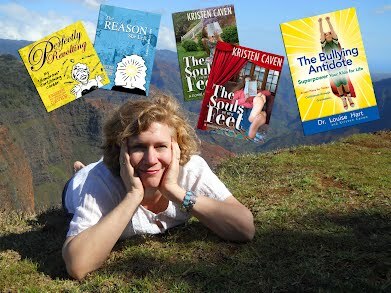 Kristen Caven finds great joy crossing through multiple media and genres on her way to great storytelling, deeper understanding, harmonious connections, and creating new ways to see boring old problems. Kristen Caven loves reading, discussing, and making books more than just about anything. Perfectly Revolting, The Reason She Left and The Souls of Her Feet were all drawn, written, designed and published by Kristen. She co-authored The Bullying Antidote, The Winning Family, and On the Wings of Self-Esteem with her mother, Dr. Louise Hart. 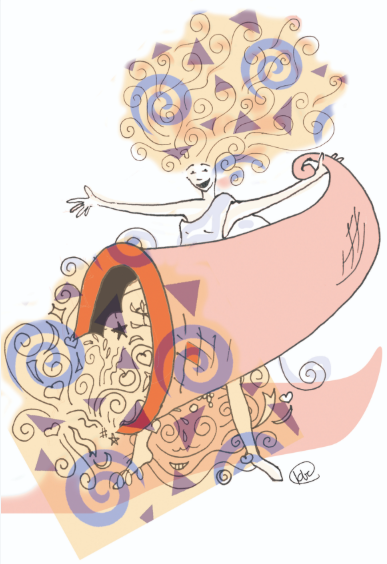 She has also written and published several collectible ‘zines and mini-comics. She works with other authors as a book editor and designer. She is also the co-founder of Uplift Press, and is serializing her next book, Dance Like a DecoBelle, to subscribers. Kristen sees blogging as an art form, and has created numerous works in the genre. Her most popular, of late, are Life in the Fast Brain for ADDitude Magazine and Ten Days…Ten Pounds, about a trip to Italy gone south. Kristen’s young-adult cartooning career was so prolific it continues to unfold in articles, books… and now movies! Kristen teaches, produces, and co-creates events in collaboration with other artists via her non-profit umbrella, Generous Muse. A big fan of song and dance, Kristen writes lyrics and teaches Zumba. Learn more about her musical and some of her songs. She is even writing a book about dancing! Make sure to visit Kristen’s family’s “stuff” storefront, Little Pig Productions. You can get notecards, posters, and t-shirts with cartoons by Kristen and her peeps. You can look for operas…but it’s mostly stuff. Hysterectomy card: a best seller! Available in all genders; super cute.